Hotmail (officially known as Windows Live Hotmail) has officially rolled out support of push Hotmail email, calendar and contacts through Exchange ActiveSync (EAS). 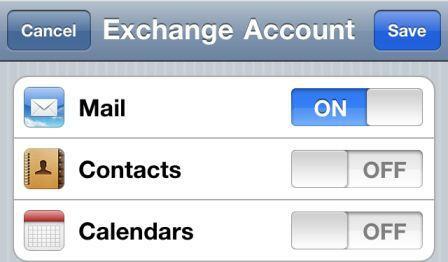 The Exchange ActiveSync support allows Hotmail and Windows Live users that same capability that enjoyed by Exchange users, that’s sync email messages, calendar and contacts between the cloud (web) and iPhone with automatic push. 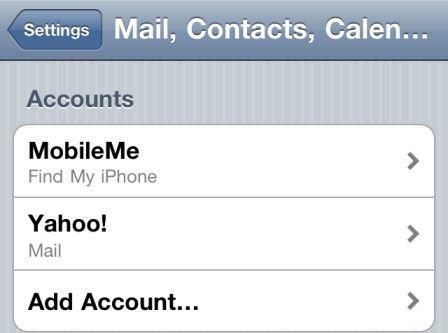 With Hotmail configured via Exchange ActiveSync on iPhone, iTouch or iPad, users can get your email, calendar, and contacts pushed automatically to the phone. EAS keeps everything in sync between mobile phone and Hotmail, so that any addition, deletion, removal, edition or modification on the phone of email, appointment, or contact will also be reflected on the web, and vice-versa. The change will also be synced to email client on PC, such as Outlook configured with Hotmail via Outlook Connector or Windows Live Mail. Tap on Mail, Contacts, Calendar. Tap on Microsoft Exchange to configure Hotmail push ActiveSync. Enter the complete full Hotmail email address in both Email and Username fields, then enter the password in Password file. Leave the “Domain” field blank. For Description field, enter any label for the email account, such as Hotmail. Then, tap on the Next button to continue. If all the account details are entered correctly, the verification will complete successfully. User will be presented with choice either to sync Mail, Contacts, Calendars or any combination of them. Tip: If choose to sync Contacts and Calendar, select the Keep on my iPhone option when prompted to avoid existing contacts and calendars been deleted, which in turn can be synced with computer via iTunes.